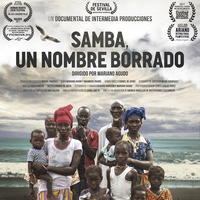 Samba Un Nombre Borrado, "A Name Erased"
Mahmoud Traoré is a Senegalese author and filmmaker who migrated from Southern Senegal to Sevilla, Spain where he's been living for 14 years. While swimming across Ceuta to the Spanish mainland, the Spanish National Guard shot rubber bullets at the migrants. Of those who were fatally wounded, one man's body was never recovered. That man's life and the phenomena of clandestine migration from Senegal to Morocco and Spain are the focus of the documentary film created by Traoré.